Walking into Vroman’s—an independent bookstore in Pasadena, California, a place I’ve been coming since I was a kid—I was shocked to see Sarah Lotz’s name written neatly in red marker on the whiteboard announcing author talks. I’d just come back from South Africa the week before and had meant to get in touch with Lotz (who is based in Cape Town) while I was there to speak to her about her new novel The Three, released on May 20. Work and family obligations had swallowed up every minute of the trip, and I hadn’t managed to reach out. But here she was in my hometown, scheduled to speak in just a few hours. It was just luck, but given that The Three is all about strange events that draw people from far-flung parts of the globe together—events that trouble the lines between coincidence and fate—the chance encounter felt surreal, somehow predestined. First, a bit about the novel itself. In both its content and form, The Three blurs the lines between the real and imagined in order to inhabit a more tenuous space, that of “the possible.” It revolves around four simultaneous plane crashes in Japan, Florida, South Africa, and off the coast of Portugal on January 12, 2012, a day that henceforth becomes known as “Black Thursday.” (“But that couldn’t happen,” someone from the Vroman’s audience chimed in. “Why not?” Lotz countered.) Lotz did meticulous research for the novel, modeling all of the fictionalized crashes on actual ones, down to the details of their causes, from a bird strike to equipment malfunction. For example, the novel’s Sun Air Flight 678 is based on Japan Airlines Flight 123 that killed 520 people in 1985—the deadliest crash in history. However, it is not the crashes in and of themselves, but the fact that three (and possibly four) “miracle” children survive them that causes global furor and speculation—some believe it is a sign of the rapture or that aliens are among us, others that it is all a hoax designed to sway the course of history—which it does. And while the novel is not about terrorism (this is quickly discounted as a possible cause of the crashes), Lotz told us that the resonances with 9/11, which is mentioned frequently by various characters, are purposeful. 9/11 was an event that no one thought possible but that “changed all of our lives, the world over,” and she wondered, what would happen if there were another event like that? Formally, the novel is designed to enhance this sense of verisimilitude. Aside from its opening and two closing chapters, the novel is structured as a book within a book—a journalistic account titled “Black Thursday: From Crash to Conspiracy” by Elspeth Martins. This strategy allows for the inclusion of a wide variety of genres, many of which we encounter in our daily lives: skype, telephone, and face-to-face conversations, book excerpts, emails, blogs, newspaper articles, instant messages, and online chat forums, among others. Other genres in the novel are less familiar, such as transcripts from the Cockpit Voice Recorder of the Sun Air plane and the Isho, or “last messages” composed by its passengers to their loved ones. Lotz read all of the real Isho written by the passengers of the Japan Airlines flight as part of her research for the novel, and this genre in particular plays a significant part in the novel’s plot. The question of genre also came up in our conversation with Lotz, who said that she wishes that fiction didn’t need to be labeled. She finds the ongoing debate in South Africa over whether or not genre fiction (such as crime, horror, etc.) can also be literary fiction, or is in fact the nation’s “new” political fiction post-apartheid, to be rather “annoying.” “But why can’t you have both?” she asked. 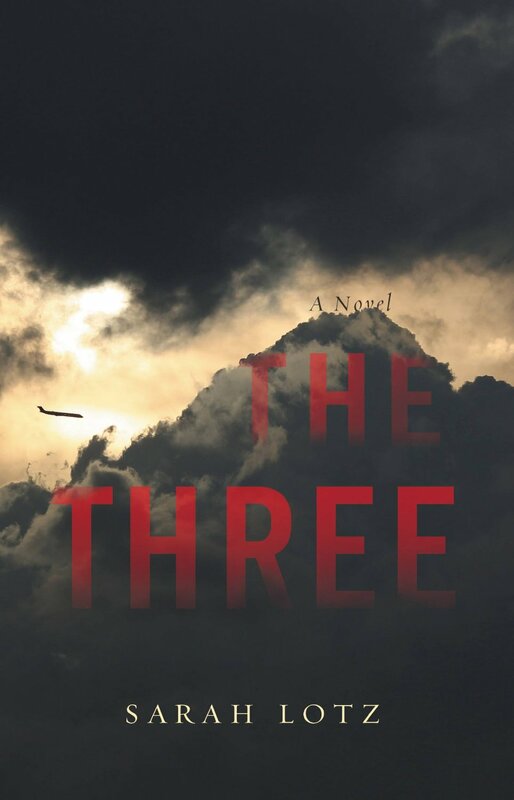 Many other reviews have referred to The Three as a “thriller,” and Lotz told us that in England it has been classified as “horror.” She was delighted to hear that while Vroman’s has a horror section, The Three is currently shelved under general fiction. “Oh gosh, I feel quite important now,” she gushed. When I asked Lotz about the global scope of the novel and why she chose it, she responded, “I wanted to see if I could pull it off.” But she added almost immediately, “I actually feel guilty when I don’t write about South Africa.” Although Lotz was born in England, she moved to South Africa in 1992, just before the end of apartheid. Lotz nodded vigorously when I asked if she considers herself to be a South African writer: “It’s where my heart is—there are like a million stories that need to be told.” While some South African readers have told Lotz that they wish South Africa featured more prominently in The Three, one of the crashes does take place in Khayelitsha, a densely populated township outside of Cape Town and the site of some of the novel’s most gruesome scenes. 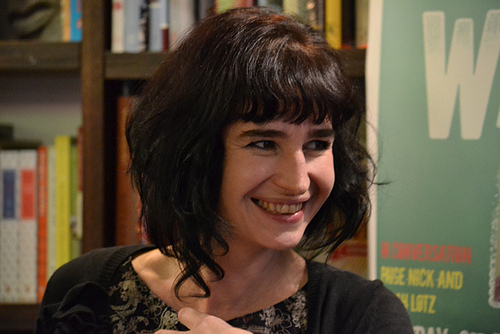 Lotz said that it was “gut-wrenching to write about a place [she] knows so well.” As she does for each part of the world featured in the novel, Lotz includes a variety of South African voices, from a paramedic to a bounty hunter to a domestic worker who fears her child has been crushed in the wreckage. There are other African voices too—residents of Khayelistsha hail from all over the continent, and their relatives come in search of them—to complete the important task of bringing their bodies home. If anything, South Africa features as a kind of moral center of the novel, and—without giving too much away—a space that is both battered by global forces and a site of resistance to them. Overall, while it begins and ends in Japan’s Aokigahara forest, infamous for its suicides, the novel otherwise feels relatively balanced between its four world areas. To help her capture such diverse perspectives, Lotz said she sent the novel to friends around the world. But, she quickly added, you can’t get everything right—someone will always be offended. After the novel went to print, a friend pointed out a small error in diction on the novel’s first page (see if you can spot it). Others have objected to the novel’s religious undertones (one of the first things Lotz mentions is her email inbox, brimming with angry messages). Lotz summed it up, “People either love the book or they hate it. Fantastic.” Perhaps this is the only possible way to approach writing a novel of such global scope today. At least in terms of the small group assembled at Vroman’s last week, there was general agreement that Lotz had tapped into something in writing about plane crashes. As one woman said, we fly all the time now, it’s an experience we can all relate to. Whether or not the novel will resonate with audiences where this might not be the case, remains to be seen. While the novel hinges on the crashes, it is, as Lotz says, more broadly concerned with how “society can change because of fear.” As for now, The Three is one of the few recent novels to come out of South Africa that you’ll find amongst other blockbusters on airport shelves—and while this fast-paced thriller is an engaging and entertaining read, I wouldn’t recommend reading its opening—the scene that earned Lotz her book deal—mid-air. Another jolt and the strap leaps away from her grip. She doesn’t want to die like this– not like this. Not amongst strangers, not looking like this, with her hair greasy– that new perm had been a mistake– her ankles swollen, uh-uh. No way. Quickly– think of something nice, something good. Yes.